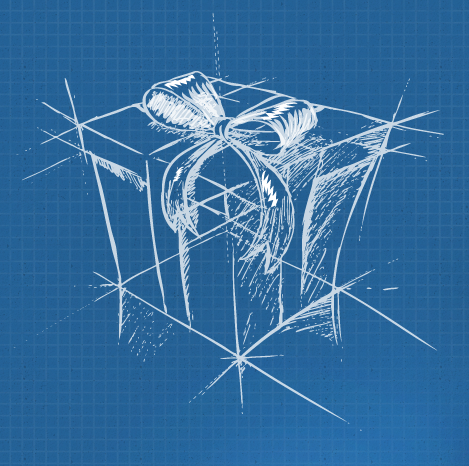 A few days ago an awesome iPhone app for finding and sending gifts directly from your iPhone went live in the App store. You should get it ! Disclaimer: a good friend made the app. The app is called Karma Science. Download it here. It is really well made, and easy to use. The UI is polished and smooth. At first i wondered how one could build a company around an iPhone "gifting app" . This is a subject that i have spent quiet some time thinking about, because of Zach's Free Gifts facebook app, and chatting how to make a cool iPhone version of his run-a-way success facebook app. http://www.freegiftsapp.com . However, i was very quickly won over by a couple of subtle but important features, that made me realize that Karma was a smart play similar to hunch.com for iPhone . 1. The Karma Science brand has a marketing secret weapon. They introduce the app to early adopters by sending them a gift via Karma Science. Erin got delicious chocolates (which i sampled ;) ). This insured that Karma Science and by extension their iPhone app was branded as "Something Sweet" in our minds, before we even saw the iPhone app. 2. I like that Karma Science lets the gift Receiveer pick their size and color, in order to insure the optimal gift choice. 3. The exchange policy is a nice touch. 4. The catalog and icon driven categorization UI was smooth and easy to explore. It was a good first step towards taking out the complexity of figuring out a gift. The suggestions were well merchandized and polished. I do wish there were more options, and that they were ranked based on my own personal preferences (see #5 below). 5. The facebook integration, is currently simplistic but it clearly shows a direction that is very interesting t: Using facebook profile data + karma app usage data as input vectors for an automated recommendation of specific gifts as a fit for specific facebook friends. Karma could potentially build the "netflix recommendation" of gifts for facebook friends. Put differently Karma is positioned to do an iPhone version of Hunch.com (Hunch just recently sold to ebay for $80 million ;)).